You can't afford down time for your forklifts. Let STANGCO's experience and prompt service keep you running: forklift battery supply, delivery, installation, testing and reconditioning. 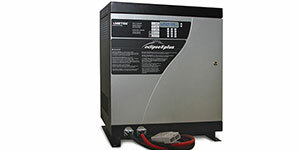 We can supply you with both new and used forklift battery chargers to keep your industrial fleet running efficiently. 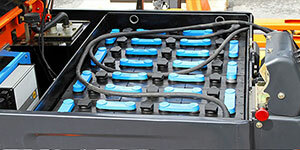 If you aren't sure if your Industrial Battery can still be repaired when inoperable, call STANGCO to offer you a hand. 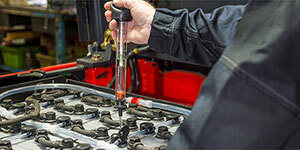 Our On-Site Battery Testing Service will give you an honest result that can save you $$$ in the long run. 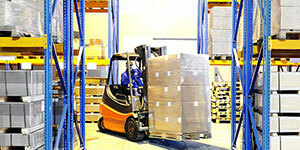 Serving Los Angeles, Orange County, and the Inland Empire with forklift batteries to keep your fleet operating. 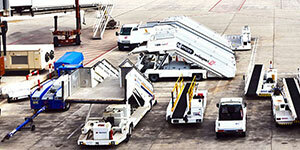 Supplying batteries to keep your Ground Support Equipment functioning properly. 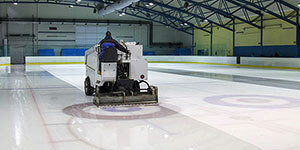 Supplier of batteries to keep your Ice Resurfacer from not missing an ice cut. Serving Los Angeles, Orange County and the Inland Empire with Conventional and Opportunity chargers to keep your batteries fully charged. Supplying a full line of watering parts to take the stress out of properly watering your batteries. 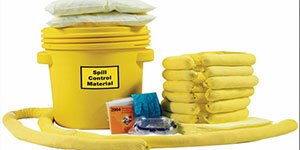 Supplying acid spill kits and supplies to keep your battery room up to code and prevent acid spill damage. 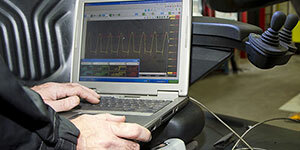 STANGCO provides on-site and shop load testing of your battery to assess the issue at hand. STANGCO can replace cells and recondition your battery in order to get you up and running. STANGCO provides on-site safety training to keep you in OSHA compliance and prevent any injuries or spills from occurring. Get A Free Battery Quote Today! We will help you get your equipment running as fast as a flash! © STANGCO Industrial Equipment, Inc. All rights reserved.